The Llangollen Railway (Welsh: Rheilffordd Llangollen) is a volunteer-run heritage railway in Denbighshire, North Wales, which operates between Llangollen and Corwen. The standard gauge line, which is 10 miles (16 km) long, runs on part of the former Ruabon - Barmouth GWR route that closed in 1965. It operates daily services in the summer as well as weekends throughout the winter months, using a variety of mainly ex-GWR steam locomotives as well as several diesel engines. A 2 1⁄2 miles (4 km) extension of the railway has been built to complete the line to Corwen. 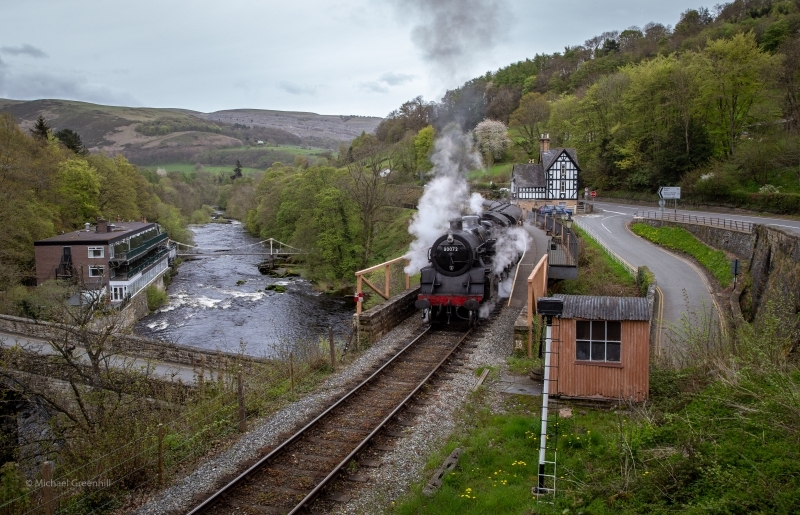 Please give us your overall rating for Llangollen Railway.